Dril-Quip, Inc. wants to provide the highest level of after-market support possible. To this end we provide after-market support and services, including customer refurbishment projects, capital drilling equipment repair and certification, field life management services, rental tools, field service, personnel training and development and field technician certification. A well-engineered component is always a requirement for success in the field. However, it is the service technician's responsibility to assure products arriving on location are shipped correctly, verified and operated according to specifications. Only the most qualified, experienced and passionate personnel are employed for field services by Dril-Quip. 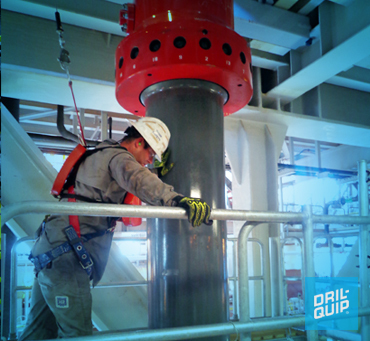 Our service technicians are rigorously trained and tested to assist in the installation, inspection, proper use, repair and maintenance of all Dril-Quip products. Dril-Quip has expanded its field service technician workforce with a comprehensive training initiative. Each field service technician participates in e-based training, tool disassembly and reassembly programs, classroom training, in-field training and a qualification process designed to meet industry competency standards. This effort is to ensure each technician is qualified to assist the customer in the handling, installation and repair of all Dril-Quip products. The company’s field service technicians are strategically located throughout the world and are available on a 24-hour call-out basis. Once a product has been delivered new to our clients Dril-Quip transfers the management of that work to the After-market Services Division for supplying the needed ongoing support. This includes after-market services for capital drilling equipment such as complete riser systems, hydraulic connectors, trees, tools, packers and spare parts. Additionally Dril-Quip provides field life management series to our clients. This includes all aspects of the life cycle of Dril-Quip supplied equipment. It includes a comprehensive plan for the client that addresses regulatory and industry standards protocols for maintenance, spare parts, recertification, storage, preservation, documentation, and repairs. Of paramount importance here is the response that Dril-Quip is prepared to provide through its well qualified staff of engineers and technicians. At each major facility, Dril-Quip maintains an inventory of rental tools required to install its products. Anticipating an increase in rig activity, the company began adding to its tool inventory in 2012. This inventory expansion will position the company to meet the customers’ expectations for after-market support. 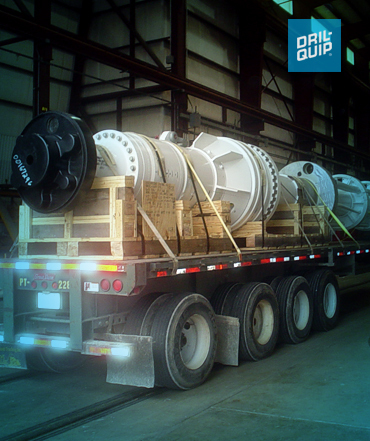 Contact the Dril-Quip After-Market Services Department or call +713 9397711 for 24-hour service dispatch.